The tomb was unearthed in Saqqara, a city south of Cairo and a vast necropolis from ancient Egypt. In 2006, tomb robbers were found to have raided the graves of three dentists, buried in Saqqara and protected by a curse. 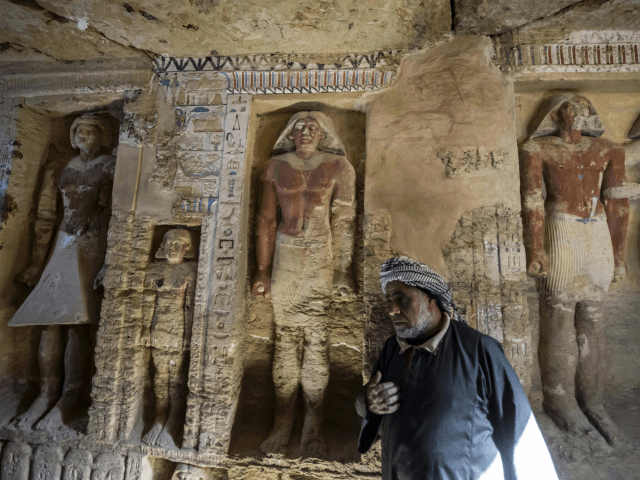 "It seems that this one is full of debris, but I can imagine that, that all the objects, or most of it, would be found here in this area", Mostafa Waziri, the Secretary General of the Supreme Council of Antiquities, told reporters from inside the tomb. 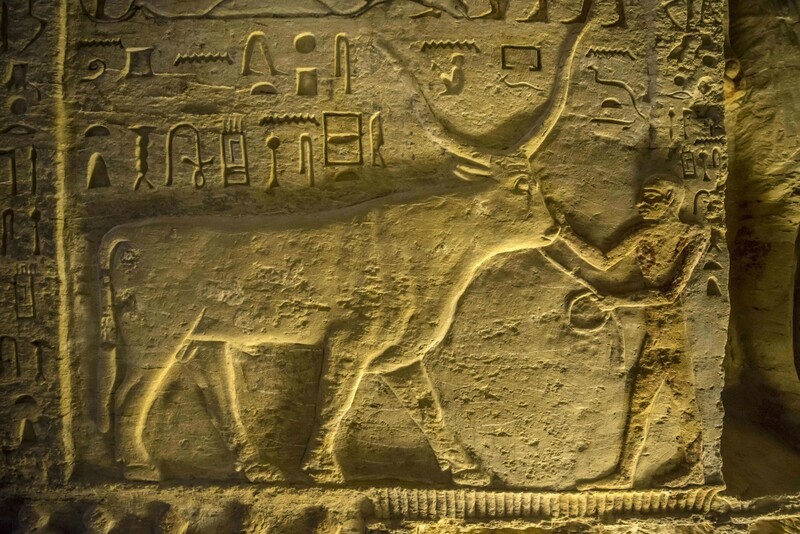 The newly-discovered tomb belongs to the high priest "Wahtye" who served during the fifth dynasty reign of King Neferirkare (between 2500-2300 BC). Egypt, one of the most ancient civilizations, has been working hard to preserve its archaeological heritage and discover the secrets of its ancient antiquities in a bid to revive the country's ailing tourism sector. Its drawings were nearly completely preserved, and the tomb itself had not been looted, he said, according to Reuters. Statues are seen at the recently uncovered tomb of the Priest of royal Purification during the reign of King Nefer Ir-Ka-Re, named "Wahtye". "This statue might belong to the deceased or a member of his family", he said. His tomb is about 33 feet long, 10 feet wide and 10 feet high, and was uncovered in the Saqqara region, which is south of Cairo. The black marble enclosure appeared to have been sealed and never opened after it first shut somewhere in the years of 305 and 30 B.C. When opened, the remains of three bodies were found, as were numerous sheets of gold, according to Fox News. Waziri said that the tomb houses five burial shafts, as well as two false doors, one belonging to Wahtye and the other to his mother. 'This shaft should lead to a coffin or a sarcophagus of the owner of the tomb. Egyptologists are expecting to make more discoveries when they excavate them. The stepped tomb, built by the master architect Imhotep for the Pharoah Djoser, stood 62 meters (203 feet) tall originally and is considered the oldest building in the world built entirely of stone. Egypt's Fifth Dynasty ruled from about 2,500 BC to 2,350 BC. The country hopes the finds will brighten its image overseas and revive interest among travelers who once flocked to its iconic pharaonic temples and pyramids but who fled after the 2011 political uprising.